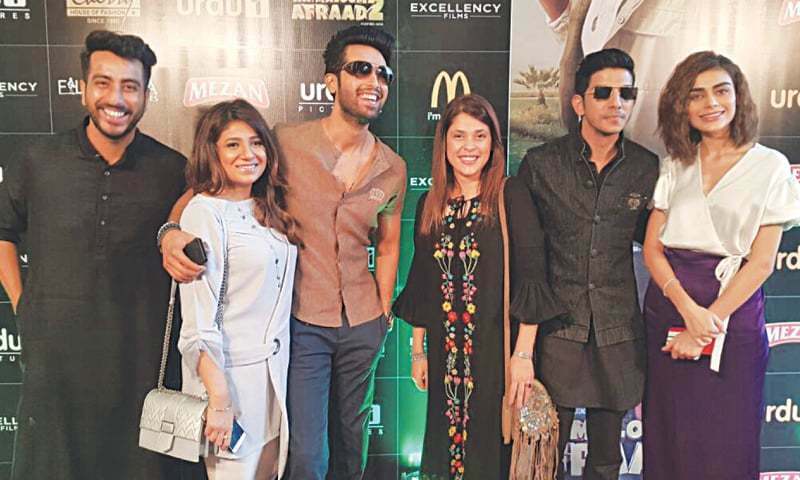 KARACHI: The trailer for Na Maloom Afraad 2, the second instalment of the commercially successful film Na Maloom Afraad (2014), was launched at a local cinema on Wednesday. There were almost a dozen speakers — stars of the film, director, producer, distributors — on the panel to answer the media’s questions, but the journalists seemed happy not troubling the hosts too much. Seasoned actor Javed Sheikh was the first to share his experience of being part of the project. He said the director-producer duo of the film — Nabeel Qureshi and Fizza Ali Meerza — first came to him with the script of Na Maloom Afraad, which was “totally different”. It was then a question of turning the idea into an entertaining, commercially viable one; but when filming began, it became evident that they were up to something good. As a result the film proved to be so good that now its second part has been made. 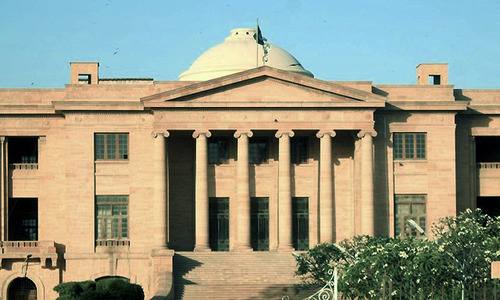 He claimed that Nabeel and Fizza understand the pulse of commercialism. He hoped that the film will be a hat-trick for Nabeel who has also made Actor-in-Law. Actor Fahad Mustafa said many directors are making films, and the phrase ‘revival of cinema’ is being used a lot, but people should watch Na Maloom Afraad 2 because it’s a good film, and not just a Pakistani film. He said the first instalment was not as funny as its second part. He added that while the shooting of the film has taken place in South Africa, it is Pakistani at heart. After the two speeches, the film’s trailer was shown. When one of the journalists inquired as to why wasn’t Marina Khan featured in the trailer, Nabeel said there were many things that he hasn’t included in it, for which the audience will have to watch the whole film. Actress Hanya Aamir said it was great working with the crew of the film. They were professional and always did things on time. Mohsin Abbas was of the view that this time around the audience will find more ‘chemistry’ among the characters (he, Javed Sheikh and Fahad Mustafa are the original cast members of the film). In response to a question, Nabeel said 90 per cent of the movie was shot in South Africa. And they purchased a new camera, Alexa SXT, to shoot the film. When the question about the budget of the project was asked, Fizza did not give a clear answer, and Fahad Mustafa interjected by saying that no one tells how much salary they get. He needs to realise that individuals’ salaries aren’t for public consumption, films are. Na Maloom Afraad 2 will release on Eidul Azha.